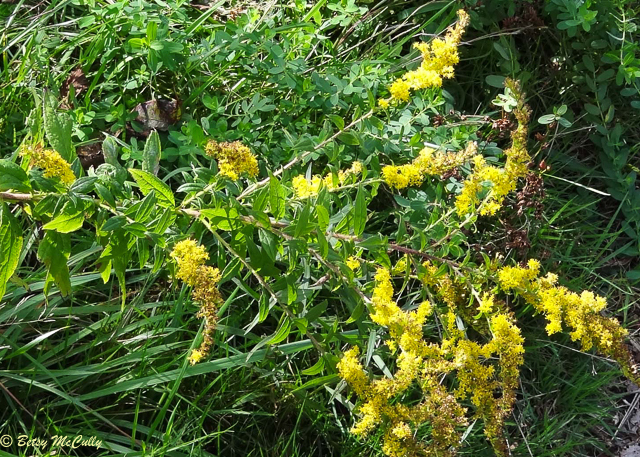 Wrinkle-leaved Goldenrod, Common (Solidago rugosa). Asteraceae family. Native. Fields, pastures, roadsides. Throughout. Montauk, Long Island, 2011.